Underberg - The popular two-day 62 kilometre N3TC Drak Challenge Canoe Marathon celebrates its 25th anniversary this year on 20 and 21 January, with the event now well established in the trio of South Africa's best supported canoe races. Entries for the 2018 race opened this week and look certain to attract another field of close to 1000 paddlers keen to test themselves against the fabled sections of the clean uMzimkhulu River as it flows out of the Southern Drakensberg mountains through the town of Underberg, finishing at Early Mist Farm close to Coleford resort. 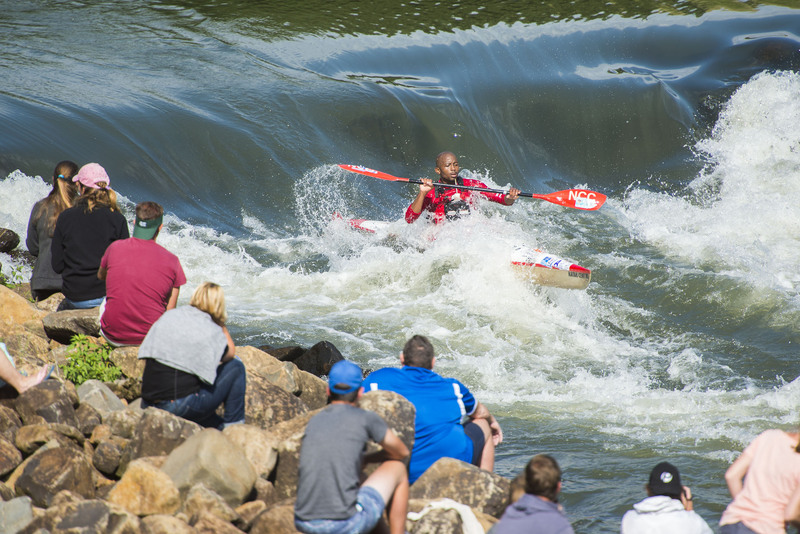 Timed to coincide with the best of the summer rainfalls in the region, the event will share the same weekend - usually the last weekend of the end-of-year holidays, with the Thrombi-XFest for kayakers that runs through Thrombi Gorge, immediately below the canoe race finish. Making it a bumper weekend for the region, and keeping accommodation, restaurant and supermarket tills ringing, the two-day sporting bonanza will also include the Euro Steel Drak Descent mountain bike race and trail runs alongside the river, providing a totally unique pairing of events that allows friendly banter between the paddlers and the land-based athletes. Run by the Canyon Kayak Club based in Underberg, the N3TC Drak Challenge has become a very popular part of the national calendar as the weekend caters for the paddlers needs while pandering to families with the regions well documented plethora of tourist attractions. The race was named the Multi-Day race of the Year last Year by the KZN Canoe Union, recognising the efficiency with which the race is run, and the manner in which they cater for the paddlers needs. Central to that is the open and frank communication on water levels that are essential to the race's personality as the river is entirely dependent on rainfall in a very specific catchment area. 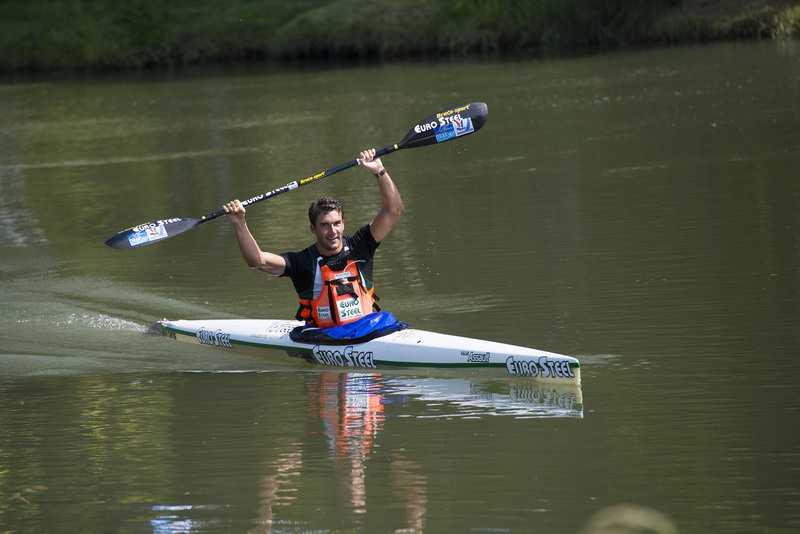 "As paddlers we respect and admire the way that the race communicates with us," said Owen Hemmingway, a Pietermaritzburg based paddler who has done more of these races than anyone else. "Yes, we want full rivers to paddle on, but with the Drak there is never any bluffing, just honest, accurate and timeous information through their website and social media, about the amount of water in the river." After two years feeling the effects of the La Nina drought cycle that has gripped South Africa, forecast suggest that this summer will see the end of that cycle, and the start of the wetter El Nino flip side of this weather phenomenon. 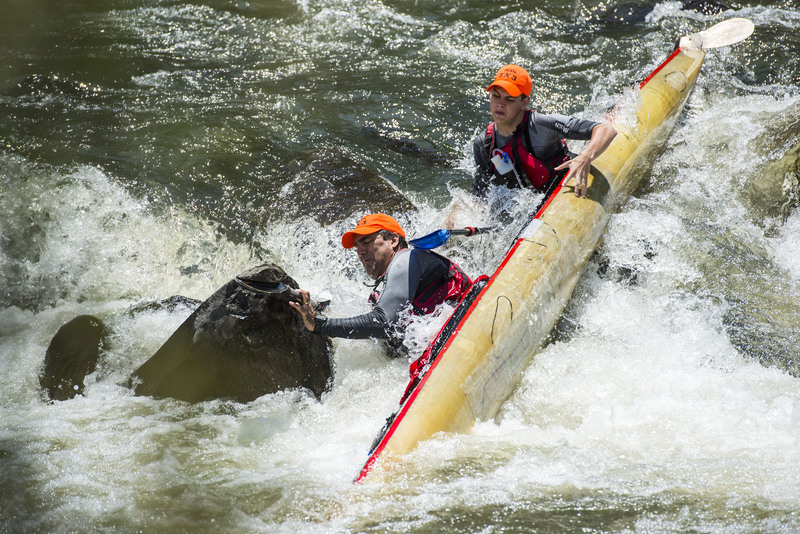 Despite the lower-than-average rainfall, the race has been run very successfully in 2016 and 2017 on a low river, as paddlers realise the unique appeal of the uMzimkhulu River and its ability to provide an exciting and rewarding paddle at moderate river levels. The race has positioned itself as a K1 (or singles) event since 2002, encouraging paddlers to race in K1 craft, while happily accommodating K2, and even a few gallant K3 entries. The flexible race administration always allows paddlers to convert K2 entries to two K1 entries right up to the day of the race itself, a paddler-centric outlook that has contributed to the race's popularity. "We make a point of taking stock after every race, looking for ways to improve and add more value to our paddlers and their families," said race chair Andrew Barnett. "We have a great stable of sponsors and supporters on board who have been with us for a while now, and this year we are excited to be adding a few more that will really add massive value to the whole weekend," he added. Barnett stressed that the race remained committed to its slogan "The most fun you can have canoeing" and to being the best value for money race on the national calendar.